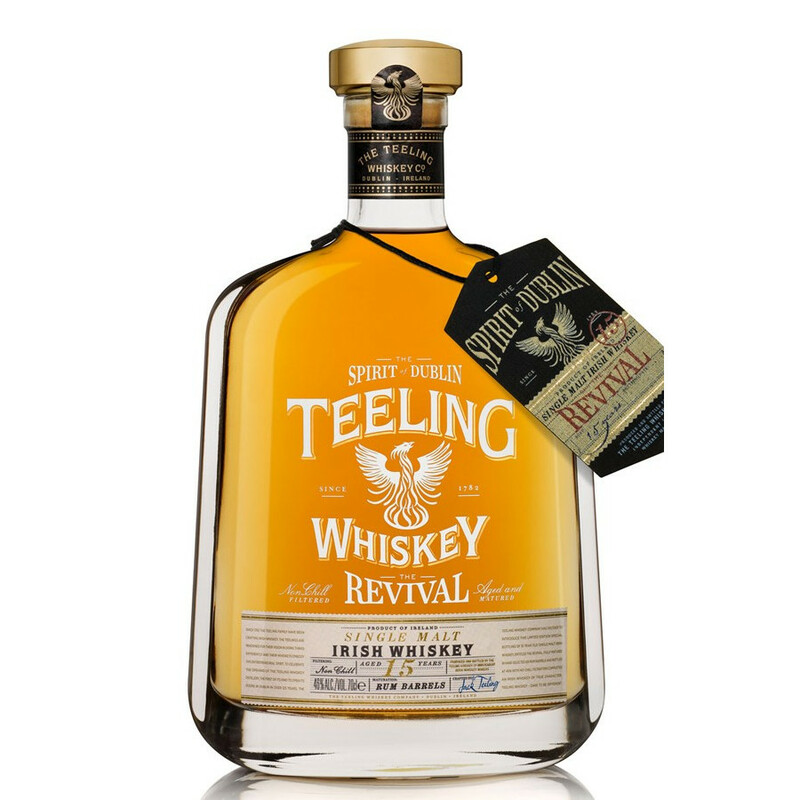 Amazingly smooth, The Revival is a gem of the Teeling Whiskey Company. This 15 Year-Old Single Malt has been exclusively aged in Caribbean rum barrels. The Revival is a gem of the Teeling Whiskey Company. This unique, 15 Year-Old Single Malt is a limited edition, exclusively aged in Caribbean rum barrels. With a light and fruity character, The Revival is amazingly smooth and has been bottled without chill filtration, to retain its intense flavours rising from the exceptional barrels used in maturation. The Revival has been released at the opening celebration of the Teeling Distillery in Dublin, truly marking the revival of distillation in town, as it is the first to open in 125 years. TWC is an independent distillery founded by Jack and Stephen Teeling, John’s son, who established the Cooley distillery in 1987. The Teeling family has been crafting Irish whiskey since 1782, date on which Walter Teeling founded one of the 38 Dubnlin distilleries in Marrowbone Lane in the area of Liberties. This is also in this area, at the heart of Dublin, this Jack and Stephen Teeling opened their own distillery, more than 200 years after their ancestor. Unlike other Irish distilleries triple-distilling their whiskey, this new distillery distils only twice (pot still) just like the Cooley distillery. It is the only distillery to produce pot still whiskey in all of Dublin. Moreover, Teeling likes varying the whiskey finishes, imparting a real gourmet edge to the traditional Irish character. Nose: brown sugar aromas, grapes and fresh sawdust with a spark of fruity. Palate: complex and elegant. Tongue-coating spices (cloves, vanilla and cinnamon), opening on the sweetness of cooked peach. Finish: dry and precise, lingering on woody tannins.